They were the Lakers. We were the Globetrotters. They defeated us 8-7 (something my friend Tom brings up 25 years later) and put our playoff status in limbo. We came back the next week to post a shocking 16-10 victory over the top team in the class, securing a playoff spot and giving us another shot at the Lakers, whom we defeated (something my friend Tom conveniently forgets). What game still ignites arguments more than 25 years later? 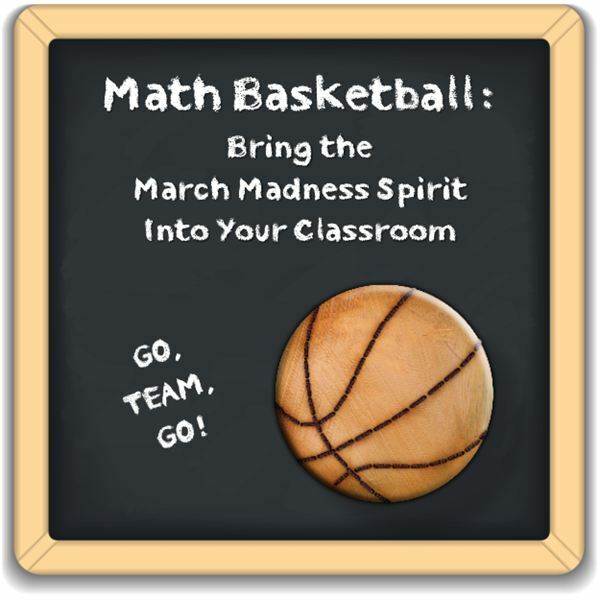 The same game* I play in my classroom: Math Basketball–easily the greatest of fun math lesson plans. * Special thanks to Mr. Rehnburgh, my sixth grade math teacher in 1980. *This lesson can be used in middle school or for high school students who need a little motivation. It’s not the best use of time for advanced math classes. Each team consists of two mathematicians. You can assign teams or let them choose teams. Each team must create a team name. Most student will use the name of their favorite pro or college team. Each team must create a name plate to display during each match. Divide teams into different divisions. Keeping divisions around four to five teams works best. The Math basketball season consists of 14 games and two playoff weeks. That gives you two matches each Friday during the quarter. Make a schedule and post it on the bulletin board. Organize desks in fours and make opposing teams face each other. Give each team an answer sheet: four rows (one for each quarter) with three answer blanks per row. Project or uncover three questions on the board. Each team will have 5 minutes to solve the three problems. The problems should measure the learning of that week’s concepts with an occasional review problem. Teams receive one point for each correct answer and a bonus point for getting all three correct. Repeat for quarters 2, 3, and 4. Difficulty should increase each quarter. Give an extra 3 minutes for quarter four and make the questions extremely difficult. There is no overtime. Ties are ties. Do the same thing for the second matchup. Put the standings on the bulletin board. After 14 games, start the playoffs. By the way, other than team names, there is nothing about basketball in the game. Feel free to call it math football, math ice skating, math soccer, or math anything.